Regarded by some as being merely an artier version of that most dubious of sub-genres, the Nazi sexploitation flick, The Night Porter still makes people uneasy. Yet it was made at a time when filmmakers were beginning to reflect on events leading up to the rise of the Nazi’s to power and it has more in common with The Damned (1969), Luchino Visconti’s operatic study of a prosperous German family falling apart as the Nazi’s begin their rise to political power than trash like Ilsa: She Wolf of the SS (Don Edmonds, 1975). 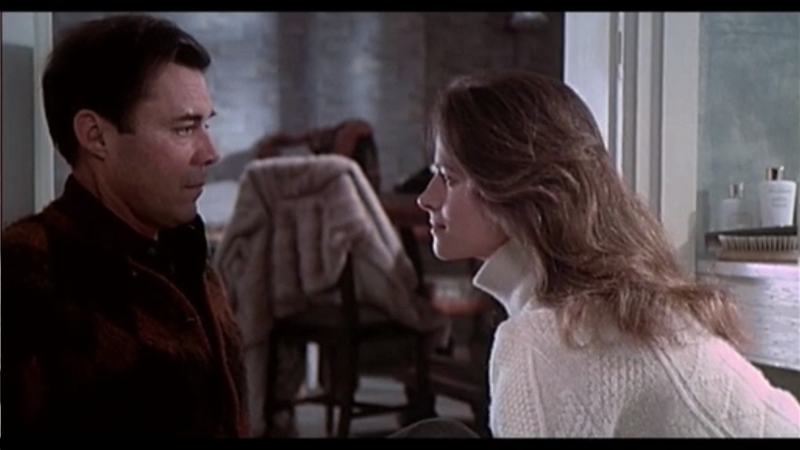 Dirk Bogarde and Charlotte Rampling both worked together on the Visconti film and with Bogarde also appearing in Rainer Werner Fassbinder’s lovely ruin Despair (1978) The Night Porter forms part of an unofficial trilogy about the Third Reich. While The Damned and Despair are set before the war The Night Porter takes place in 1957 in a grim sunless Vienna where the past clearly still has a hold on people. Former SS officer Max (Bogarde) works as the night porter in a hotel. Though he keeps a low profile lest his activities during the war are discovered Max likes it that way. Max wants solitude, to live like a “church mouse” as says at one point. Like Rick in Casablanca (Michael Curtiz, 1942) Max is cynical, isolationist, but also a fixer for the inhabitants of his establishment. Max has subtly recreated his role in the camps as a man who can be relied on for discretion and getting things done. Max pimps a younger member of staff to an ageing opera singer, helps a former colleague who was a professional dancer before the war to perform ballet in private, and generally has the run of the place. 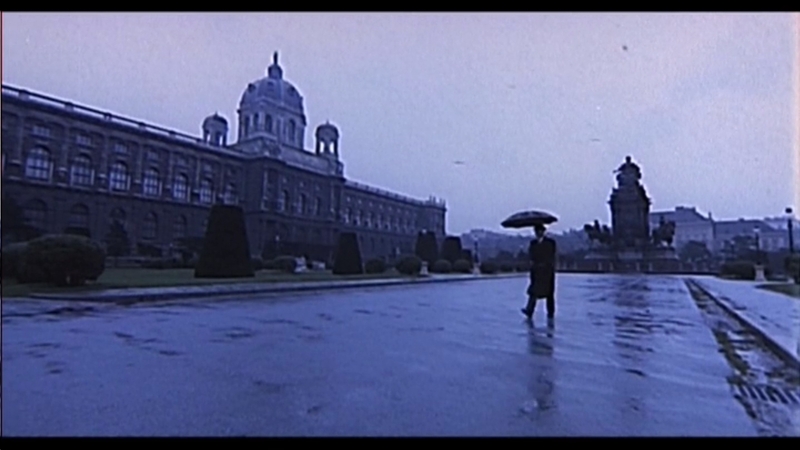 Then his perfectly ordered existence is shattered when Lucia (Rampling) walks in. Now married to a successful composer she seems to have moved on with her life but Lucia recognises Max immediately. Though initially fearful, she begins to reminisce about her time in the camps where Max went from being her abuser to her self-appointed protector and her memories seem to excite her. So is it Stockholm Syndrome recurring or genuine romantic feeling? Max and Lucia need each other but don’t seem to understand why. Cavani knows people can behave in ways that are destructive and can long for oblivion. During a performance of Mozart’s The Magic Flute conducted by Lucia’s husband where Cavani cuts between the past and the present. Max is sitting a few rows behind her and both seem to be thinking in tandem. Lucia no longer wishes to leave Vienna but instead submits to Max though now she is older she is his equal, as capable of inflicting pain as taking it. Lucia’s presence their puts them both in danger from a group of ex-Nazi’s led by Hans (Gabrielle Ferzetti) who believes guilt is an aberration of the psyche and conducts mock trials so any evidence or witnesses of their past can be found and erased. The Night Porter then sounds like a romance and to a certain extent it is, albeit a bleak and destructive one which works as a study in guilt and corruption. The main charges levelled against The Night Porter are that it is exploitative. It kind of is but only in the way that any film which utilises history to tell a fictional story is exploiting human tragedy. The Night Porter is expressionistic in its use of lighting and has a lucid dream-like quality. Cavani is able to convey in cinematic terms ideas associated with German Romanticism; a movement which aimed for transcendence but ended up influencing the twisted idealism of National Socialism and its destructive attempts at purifying Europe. The Night Porter is about this ruin and Cavani offers a union which epitomises Goethe’s belief romanticism is a form of sickness. The casting is perfect. 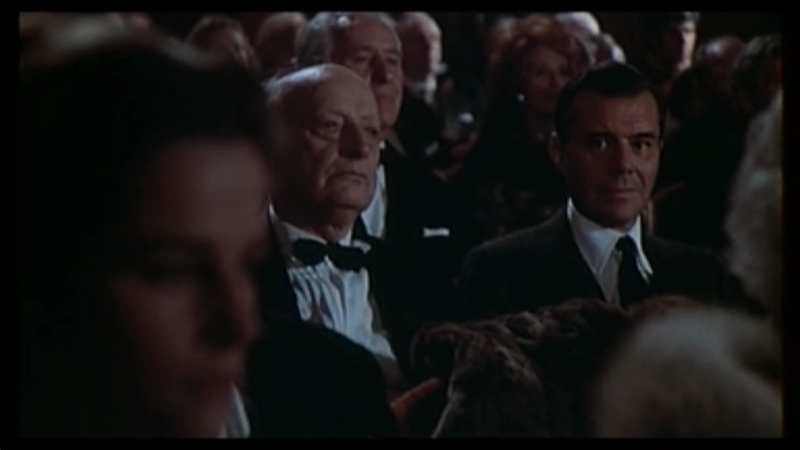 Since Victim (1961, Basil Deardon) Bogarde’s default setting was playing men who struggle within themselves and he is powerful and moving here humanising a man we should really be repelled by. Rampling too is a haunting presence, strikingly beautiful, but oddly asexual, she looks like a doll that has come to life and would rather become a toy again. Rampling’s famous dance scene for the concentration guards is more akin to a surreal parody of a 20’s Berlin cabaret performance than the provocative tease the film’s poster seems to promise. There is a recurring theme in Cavani’s work of outsiders clashing with authority, of going their own way regardless of what harm they bring to themselves. Cavani’s early films focused on historical figures who defied the social conventions of their time in Francis of Assisi (1960) and Galileo (1968). I Cannibali (1970) turned the Greek tragedy ‘Antigone’ into a contemporary allegory about a police state. She has a better grasp of Patricia Highsmith’s amoral worldview than Anthony Minghella with her 2002 adaptation of Ripley’s Game. Her best films are ambiguous, haunting, and offer no easy answers. In The Night Porter even the Nazis, history’s ultimate freaks, cannot contemplate why Max and Lucia should want to be together.